Join Alexander and Bosco the third Sunday of each month at 2pm as they discuss Post Apocalyptic Fiction. This month's book will be The gone-away world by Nick Harkaway. The San Diego Book Discussion Group is led by Fearless Leader Christine. The September 3rd discussion focuses on Nick Harkaway's Angelmaker. Participation is open to all readers; readers need not have completed a particular book to attend – it’s the perfect opportunity for readers to branch out and find new favorites! Nick Harkaway is currently considered a "single author." If one or more works are by a distinct, homonymous authors, go ahead and split the author. 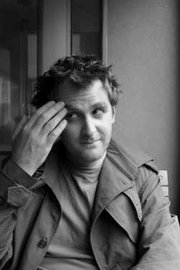 Nick Harkaway is composed of 1 name.